I filmed the latest edition of Writing & Stuff on a trip to London last week. It’s the usual mix of rambling thoughts and vague plans but with added shaky camera effects! On the bright side it also includes an interview with my agent, Juliet Mushens, who gives some advice to writers submitting their work to agents. Please do let me know what you think of these videos. And send me questions, I’ll try to answer them in the next video. I’ve blogged lots about this one already. It’s a completed novel and is now in the hands of my capable agent Juliet Mushens. With luck I’m hoping we’ll get this placed with the right publisher, then the process of editing will begin in earnest. Publishing is a slow-moving hamster, so even if I do get lucky and this is picked up in the next couple of months I wouldn’t expect it to see the light of a bookshop until some time in 2017. I’m also working on some illustrations to go with this. I’m hopeful I can get the second draft finished by February, then it’ll go to my beta readers and my agent for feedback, with the hope of submitting to publishers in the spring. Readers of Sorrowline and Timesmith will recognise the name of this particular project. 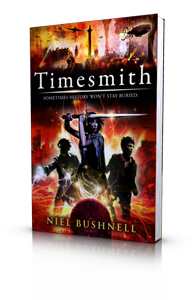 This is the third and final book in the Timesmith Chronicles series. This is in the first stages of development but I’m keen to get it completed by the summer. 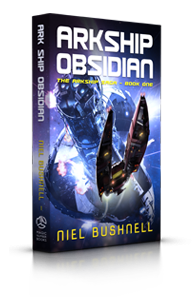 I’m really excited to finish the story, and I’m hoping to do something quite special with how it’s published. This is my next planned YA novel. Right now it’s nothing more than a bunch of scribbled notes and ideas rattling round my head. Once I’ve planned out the full story I’m hoping to start work on this in the Autumn. Of course that could easily change depending on what happens with my other work, so don’t hold me to this, all right? As well as novel writing I want to get back into doing some screen-writing. I’ve an idea for a feature film which I’m keen to get down on paper when I can. So, quite ambitious plans, which will almost certainly have to change and evolve as the year unfolds, but it’s good to have goals to shoot for. It’s three years to the day since Sorrowline came out and I became an official author. In some ways it feel like a long time ago, in other it’s just like yesterday. I can clearly remember the excitement and anticipation in the run up to publication, I can still recall everything we did on that day. I even had a proper official launch event in a bookshop, like a real author does! It was a giddy time. Then, in the weeks that followed excitement gave way to an odd mix of satisfaction and disappointment. The world didn’t stop, more books came out, people moved on, as they should, and life returned to normal. But with the advantage of three-year’s hindsight I can appreciate the moment more now than I did at the time. Fear and anxiety got in the way (as it often does) stopping me really enjoying the sense of achievement that goes with publication. But I was already focused on the next book, trying to cement my career as a writer. The last thing I wanted was this to be just a one-off. Three year later I have two books in the wild and two more completed and in the long sausage-making machine that leads to publication. It’s a long game all right. But it’s nice to look back down the road on days like this and appreciate the adventure, and where it’s taken me.